We are two passionate cyclists in Bangalore, who have been stretching our limits for the last 4 years. 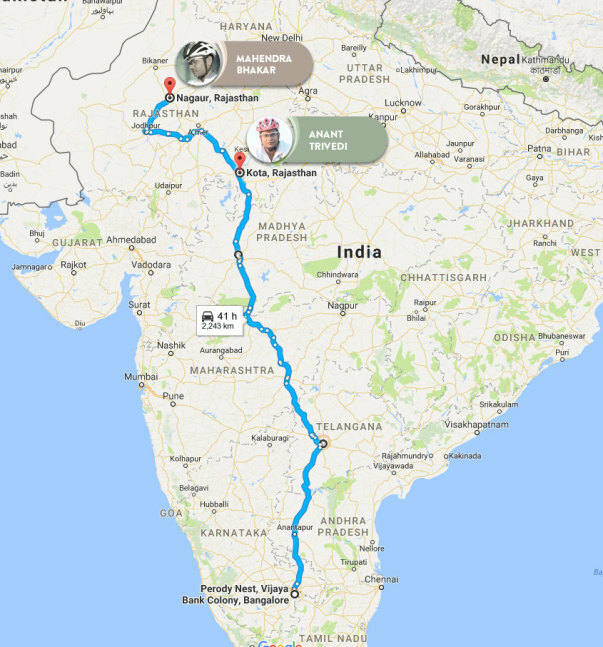 And on October 19th we are starting off on expected 8 days journey from Bangalore to Kota and Nagaur in Rajasthan, which is about 2200 kilometers. But this time, we have a cause! We are aiming to raise funds to help aid two specially abled children from Nutan Prabhat Seva Sansthan, Nagaur, for education and basic amenities. In this way, we can make sure that our efforts are not in vain. 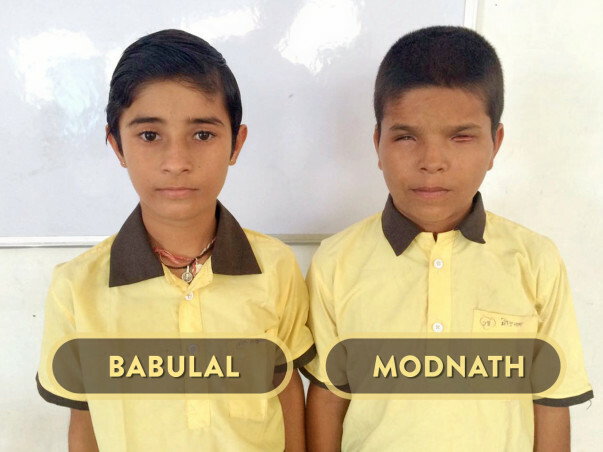 With the help of Milaap and all the contributors, we aim to help Babulal, who is speech impaired and Modnath, who is blind, at least till they complete their higher secondary. They are currently studying in 4th grade and their parents are unable to afford their education expenses along with their daily expenses. Nutan Prabhat Seva Sansthan is a school in the city of Nagaur that accommodates 48 specially abled children. They are a boon to the children of the nearby villages. Most of the families work for daily wages and have difficulties in looking after the education of their children. Nutan Prabhat Seva Sansthan helps them keep their hope while enabling them to strive for a better future. 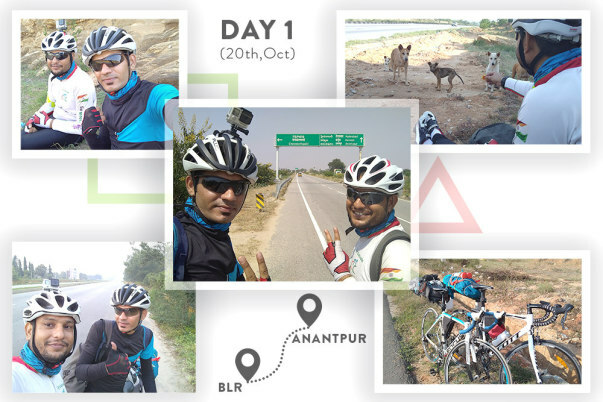 We are expecting 8 days of cycling to cover the distance of 2200 kilometers, from Bangalore to Rajasthan. We are aiming to travel a distance of average 250-300 km's a day to achieve this feat. And all the while we will be openly asking people to support our cause. We will keep updating as we progress. We would really appreciate all the help that we can get through Milaap, for this cause. We are hoping that you will be generous enough to help. You can reach out to us by clicking on the 'Contact Organizer' button below.